After Saturday's Loss, Can Erickson Lubin Come Back? Can Erickson Lubin Come Back? Briggs Seekins October 18, 2017 Boxing, Headlines No Comments on Can Erickson Lubin Come Back? Heading into Saturday night’s big card in Brooklyn, Erickson Lubin was one of the hottest young fighters in the sport. Viewed as a blue-chip prospect since his teenage years, at 22 he was already being matched against one of the best fighters in the super welterweight division. You don’t just throw a talent like Lubin into the deep waters if you aren’t sure he can swim yet. 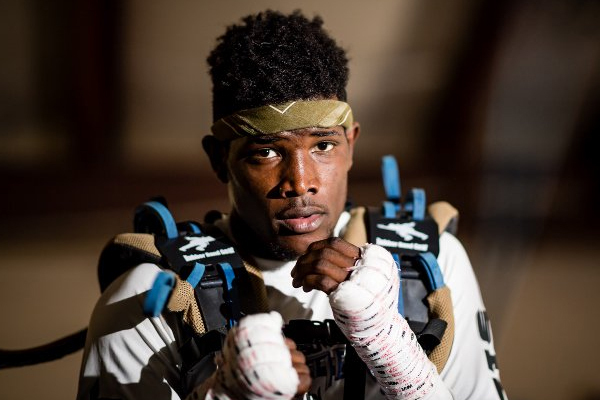 So the fact that his team was willing to match him with the likes of Jermell Charlo indicates that they thought very highly of the young man from Florida. The bet they were making was clear–if Lubin had knocked off Charlo, he would have been on the fast-track to super stardom. But sometimes a big bet can backfire. And that’s what happened Saturday night with Lubin. Just seconds into the fight he miscalculated and ducked right into a blistering right hand from Charlo. He went down hard, arms and leg twitching as his nervous system short-circuited. Just like that, his undefeated record was gone. In boxing, even the smallest mistake can have devastating consequences. On paper, there’s no reason why Lubin should not be able to come back from this loss. He’s young and talented. Getting caught short by a top fighter doesn’t change that fact. But a knockout like this one can ruin a young fighter. Lubin has never before had any reason not to believe he is invulnerable. He has just learned that he is not, in the most shocking manner possible. Charlo, meanwhile, puts himself on the short list for Knockout of the Year–his twin brother Jermall was my choice for that distinction last year, after he stopped Julian Williams with a brilliant uppercut. He also leaves himself in good position for the biggest fights possible at 154 pounds.